How to Find Which classes implements a particular interface by Eclipse? Right-click on the interface, and choose “Open type hierarchy”. Then click on “Show the subtype hierarchy”. In the lower part of the view, the method should already be selected. In its toolbar, click “Lock view and show members in hierarchy” (should be the leftmost toolbar icon). In the upper part of the view, you can browse through all implementations of the method. The procedure isn’t very quick, but it gives you a good overview. 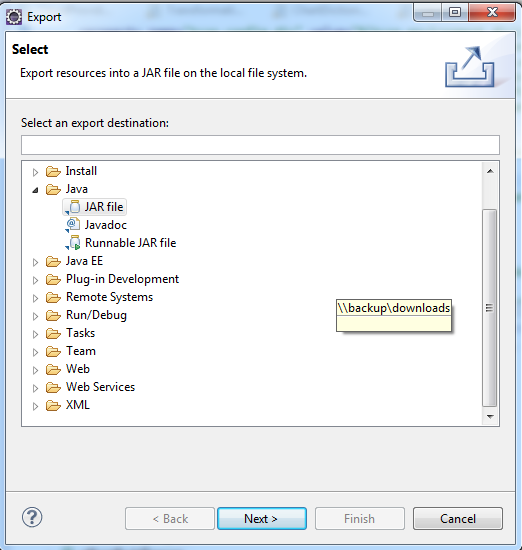 If you want to distribute your project as jar or as executable jar, you might need follow a very simple steps. 1. you can click on the project, go to File –> Export. 2. Select jar and a dialog will come up. 3. Then, just select your options and you should be set. 1. 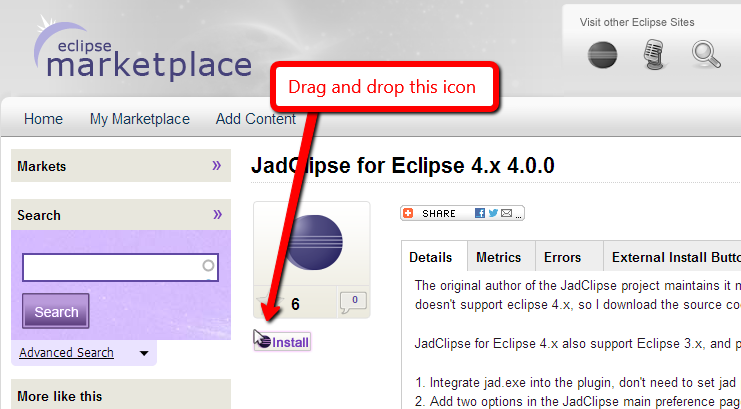 Integrate jad.exe into the plugin, don’t need to set jad path in the preference page again. 3. Update the formatting preference default settings, the “Output fields before methods” setting’s default value changes to true.